Oil prices experienced their largest weekly gains in 2017, ending above $50 a barrel.5https://www.bloomberg.com/news/articles/2017-03-31/oil-holds-rebound-above-50-amid-opec-led-cut-extension-momentum This growth is largely a result of speculation that OPEC (an intergovernmental organization of 13 oil-producing countries) will continue its agreement to curb oil output.6https://www.bloomberg.com/news/articles/2017-03-31/oil-holds-rebound-above-50-amid-opec-led-cut-extension-momentum By reducing supply, the nations aim to reduce the supply glut that drives prices down. The final revisions for fourth quarter GDP beat expectations, coming in at 2.1%—up from the previous estimates of 1.9% growth.7http://www.ftportfolios.com/Commentary/EconomicResearch/2017/3/30/real-gdp-growth-in-q4-was-revised-up-to-a-2.1percent-annual-rate This plodding growth is in keeping with the economic recovery we have experienced the past several years. So far, the first quarter of 2017 has brought market growth and several positive economic data reports—coupled with heated policy debates occurring in government and the media. Moving forward, we will continue to seek the best opportunities to pursue your goals and keep you informed with the information you need to help make solid decisions. Make a simple, savory appetizer guests will love! 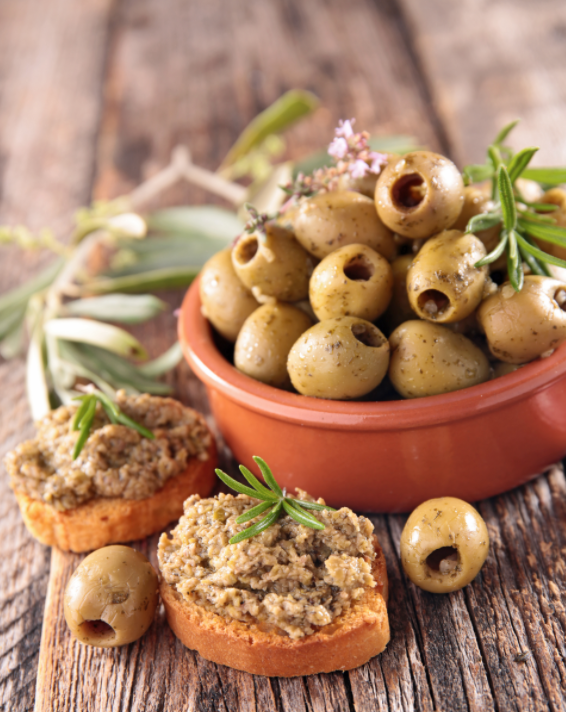 If you are unable to find either of these briny, meaty olives, you can substitute with other varieties or use just one kind. Set aside a large jar or medium bowl. Combine all the ingredients in the container you choose. Serve immediately on crostini or cover and chill for up to 1 week. Some business-expenses deductions may apply for taxpayers who qualify. A deduction for a business expense could be an item such as claiming the standard mileage rate (54 cents a mile in 2016) if you use your car for business. You will generally have to account for specific tax rules if you rent a home that you live in at any point throughout the year, called the “Residential Rental Property (Including Rental of Vacation Homes).” You can identify the status of taxable rental income using the IRS tax assistant tool. Other factors do apply, and you can learn more on the IRS website. You can also explore the agency’s Sharing Economy Tax Center to understand other tax details that may affect what you owe or the steps you need to take. Do you struggle to complete your backswing before starting your downswing? If so, you’re not alone. Amateur players often have short, quick backswings that keep them from loading up which creates a powerless, out-of-synch downswing. By learning to create and store energy in your swing, you’ll be able to go hard when hitting the ball. Follow these tips to better compress your irons. You want to keep turning until your glutes feel fully loaded—this is when your backswing ends. Once you end your backswing, you’ll want to laterally shift your lower body in the direction of the target. This move shifts your weight into your left heel (right heel for lefties). Pay attention to how you move your feet. You want to push into the ground without falling out of your position. Keep your feet planted and fire your club through the ball. environmental waste, since plastic does not decompose like organic materials do. From beverage bottles to vegetable containers and more, a variety of plastic can find its way into your home. As you recycle your plastic items, here are key details to keep in mind. Styrofoam Pickup: Many recycling centers don’t do curbside pickup for specific types of plastic, such as Styrofoam. However, they may recycle the item if you drop it off at their center. You can typically call ahead to find out what options are available for you. Big Box Recycling Support: Grocery stores and retail chains (and other shopping locations) often have recycling drop-offs for items that your recycling center doesn’t pick up. Check your local stores when shopping to identify what items they take. Cleaned Plastic: Cleaning out your plastic before sending it off to recycle is a good habit, even if your local recycling center doesn’t require you to do so. This step will deter mold from growing and may keep animals from scavenging the items.